These womens peep toe shoes make the perfect addition to any summer footwear collection. 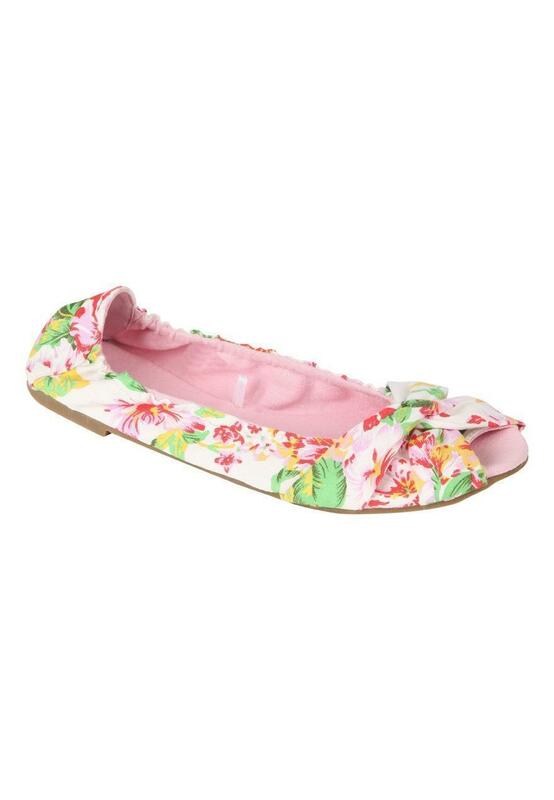 Featuring an all over print, flat soles, peep toe front and knot detail. Team with dresses or linen trousers for the ultimate summer look.